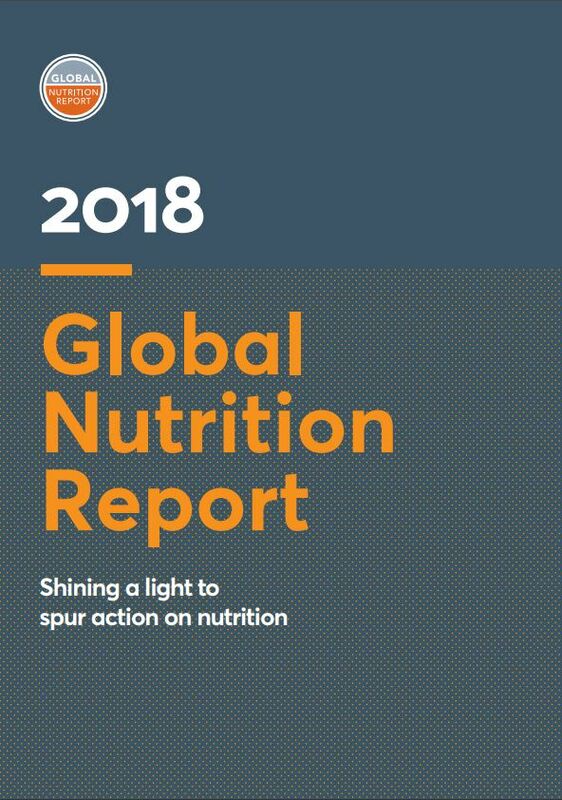 The 2018 Global Nutrition Report reviews existing processes, highlights progress in combating malnutrition, identifies challenges and proposes ways to solve them. 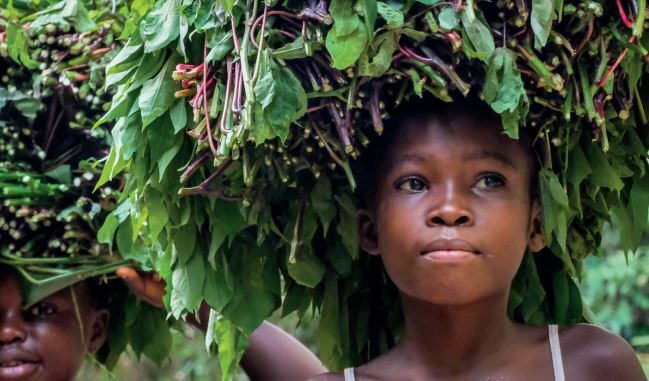 Through this, the report guides action, builds accountability and sparks increased commitment to furthering the progress that can reduce malnutrition much faster. 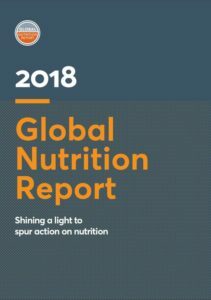 The Global Nutrition Report is the world’s foremost publication on the status of malnutrition around the world. It acts as a stock-take on the world’s nutrition – globally, regionally and country by country – and on efforts to improve it. It tracks progress on global nutrition targets, ranging from diet-related NCDs to maternal, infant and young child nutrition. 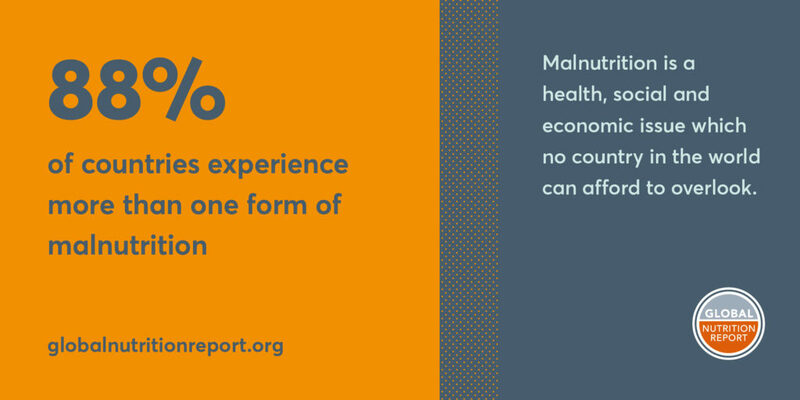 Malnutrition is a universal issue that no country in the world can afford to overlook. A third of reproductive-age women are anaemic, while 39 per cent of the world’s adults are overweight or obese and each year around 20 million babies are born underweight. Beyond health, slow progress on malnutrition is also impacting the social and economic development of countries. It is estimated that malnutrition in all its forms could cost society up to USD 3.5 trillion per year, with overweight and obesity alone costing USD 500 billion per year. Significant steps are being made to address malnutrition. Globally, stunting among children under five years of age has fallen from 32.6 per cent in 2000 to 22.2 per cent in 2017. There has been a slight decrease in underweight women since 2000, from 11.6 per cent to 9.7 per cent in 2016. Yet, while there has been progress, it has been slow and patchy. • We now know more about what people eat, why it matters, and what needs to be done to improve diets. • New data is a game changer and can drive more effective action. Local-level data and action has been particularly effective. • We see examples of countries building multisectoral plans to deliver on their targets. • Governments are showing commitment and stepping up to lead action.